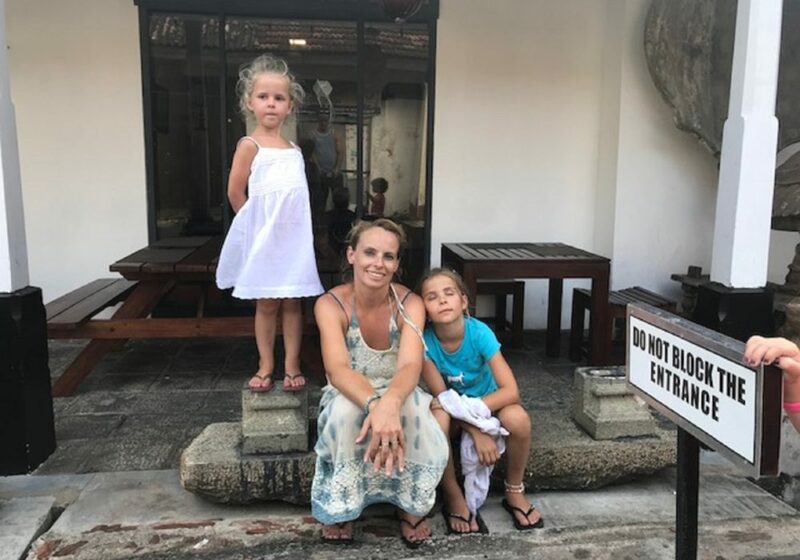 Spending 4 weeks in Sri Lanka with our 3 girls of 7 (Jade), 5 (Bente) and 2 years old (Jule), would be the ultimate summer holiday. Not much planning but just go there and go with the flow. Most people will be stressed just at the thought, but not us. That’s why we flew to this beautiful island near India at the end of July. After spending the last three holidays in Europe we are really looking forward to spending one in a completely different world, full of beautiful nature, temples, tea-plantations, elephants, endless rows of palm trees and fantastic waves to surf on. This trip does come with a price tag of course. 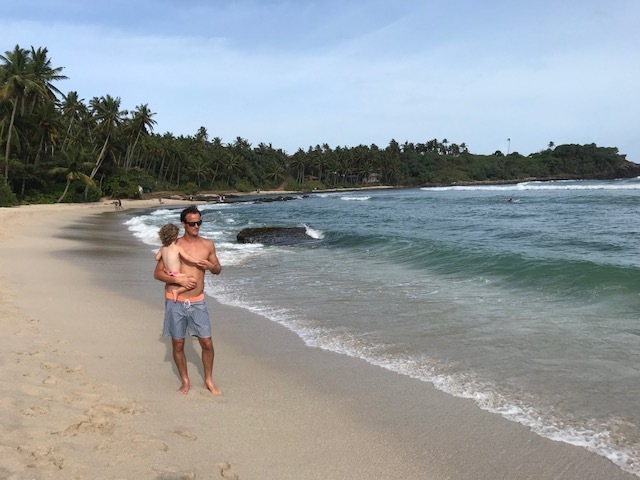 To give you an idea of the costs, we’ve made a list for you in this article “Costst of a holiday in Sri Lanka with kids”. But before we talk money we’ll give you an idea of what our trip was like. Sri Lanka is perfect to travel around on by yourself. With a Lonely Planet and wifi (which is everywhere) you can arrange everything on the spot. We start at Negombo, near the airport. Nothing special but a good place to relax for a moment with the kids. From there we trael to Kandy, the cultural capital, to visit a temple and the Botanical Gardens. Afterwards we get onto the train to Ella. This is a beautiful train ride and a certain must-do on Sri Lanka. 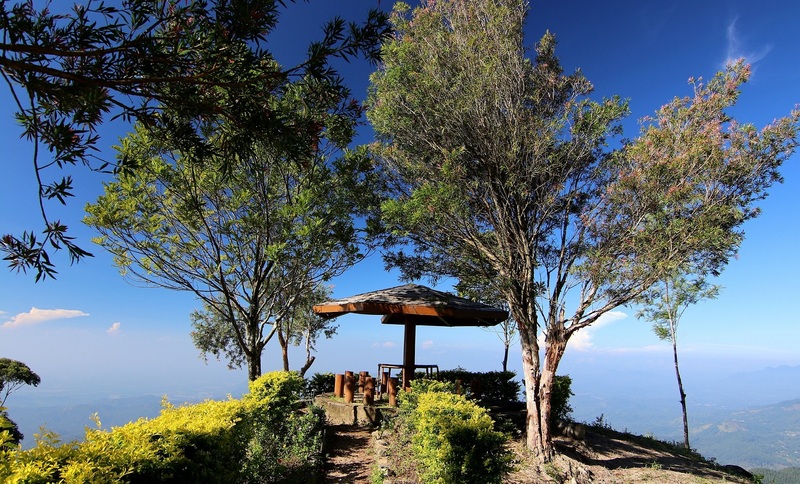 We visit a tea-plantation of course and enjoy the mountain landscape. From there we travel to Arugam Bay on the East-side where we have a lovely hotel at the beach. 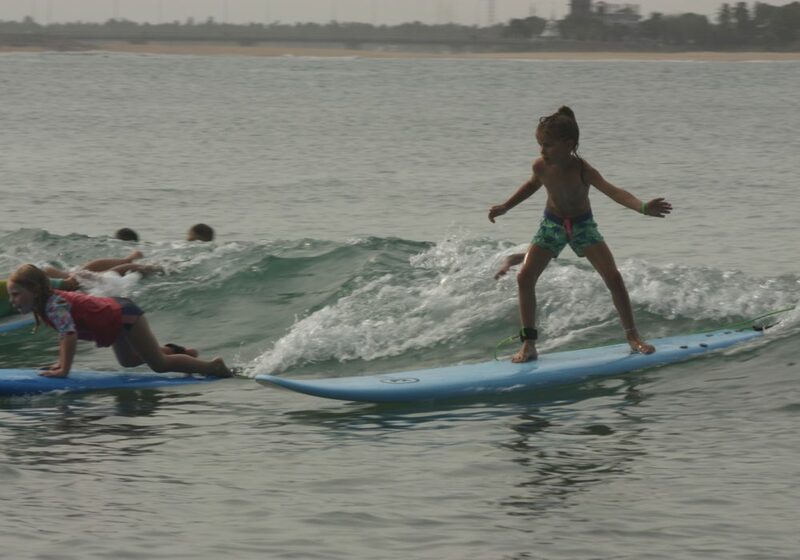 Here we do most of our surfing. 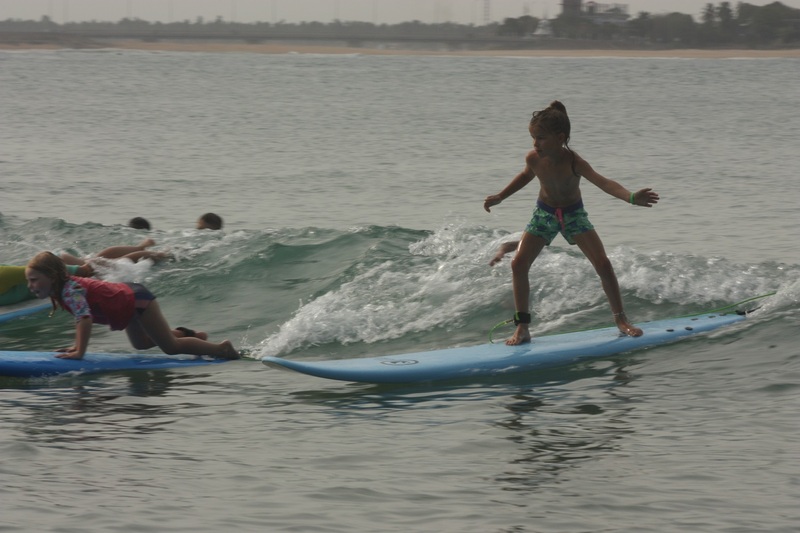 The bay has a ‘baby-beach’ too where beginners and children can catch their first waves. We take a safari tour here too, from here to Kumana-park. The last week and a half we spent our holiday in the south of Sri Lanka. Here, we mostly enjoy the sun, sea, beach and Galle, a colonial city with a Dutch past. Sri Lanka isn’t the cheapest country, compared to other Asian countries we visited (Thailand and Indonesia). This does depend on how you travel of course, by public transport or by taxi. But is also depend on what hotel and which food you eat. The prices differ a lot. When we started, we budgeted our holiday at € 200 a day, excluding tickets. We booked four-person bedrooms for all nights, except for three nights when we had three-person bedroom. Our smallest one sleeps in her Deryan tent we bring ourselves. The overnight stays vary in costs between € 50 and €150 a night. In Hiriketiya beach for example, a real surfers paradise, we booked an apartment (Salt House) with an open air bathroom and living room near the beach. Beautiful of course, but more expensive because of this (€ 150 per night). To save on costs, we sleep the next two nights in a cheaper room of € 50 per night. Taken on average a four-person bedroom costs € 100. These are mostly hotels with a pool. We want this for the kids and so you pay a little extra but if you don’t need this you can find hotel rooms for half the price. Usually breakfast is included with the hotel room so we don’t have to pay separately for it. And the one time we book a three-person bedroom we can just as easily fit the five of us at breakfast without being charged any extra. Our lunches vary between grilled cheese sandwiches and plates of fries for the kids, and Italian bruschettas. We’re not huge fans of the Sri Lanka cuisine so mostly eat western food. At home we eat a lot of fruit and vegetables but you need to alter your expectations and desires a little for a trip when the youngest suddenly decided to eat nothing but fries. If you want to cut down on your food costs this is possible. Sri Lankan meals are a lot cheaper and costs about € 5. We go everywhere by tuk-tuk because you don’t to travel on public transport for long periods of time when you have young children. Everywhere we are we take a tuk-tuk at least three or four times. A trip costs €1,50. A taxi costs between € 30 and € 42. The shortest ride took 2 hours and the longest took 5 hours. 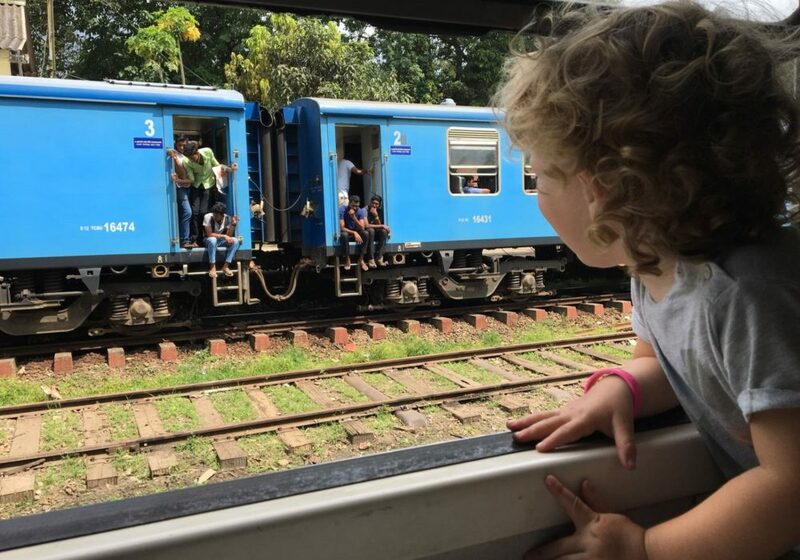 For the famous train ride between Kandy and Ella (we took the train just for the last two hours) we paid a little extra because we arranged this last-minute at the hotel. This costs € 54. We reserve some extra money for things that come up unforeseen. Visits to the supermarket and souvenirs for example (although the last one isn’t really costly because there isn’t much to buy in Sri Lanka): € 500. We bought a tourist visa in advance that doesn’t get any attention at the airport in Colombo by customs. So this could possible be a waste of money. If you take out the tickets and the visa it comes down to a total of € 204,50 per day, which is just a bit above our budget of €200 a day we thought of in advance. It’s a large amount of money, that we needed to save up for a while but we think a trip like this is more than worth it. 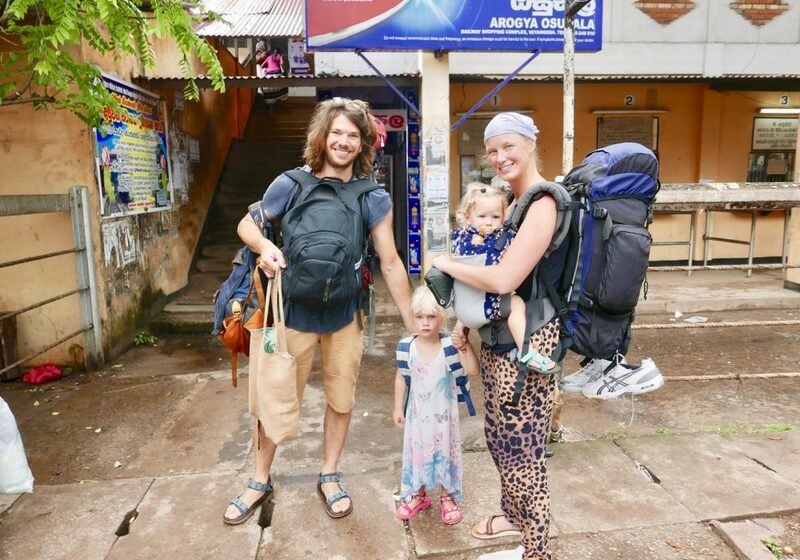 Aside from us enjoying this country to the fullest, our kids got to experience a totally different world from ours, where people have less possessions but are not less happier. We can surely recommend Sri Lanka if you love Asia and feel like travelling around. One last tip; put sunscreen in all your bags before you leave. If your bag doesn’t arrive (as ours failed to), you will at least have some on you. Good sunscreen is hard to come by on Sri Lanka. Need more tips? Check out these tips, tricks and to do’s in Sri Lanka before you go. 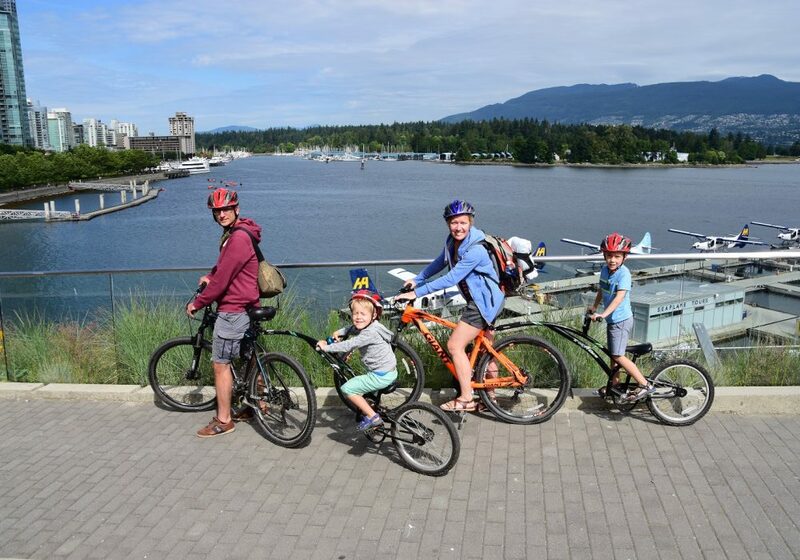 5 Family friendly bike tours, from Bangkok to America! Would you like to go on a world trip with young kids? With these top 10 tips you’ll be fully prepared! 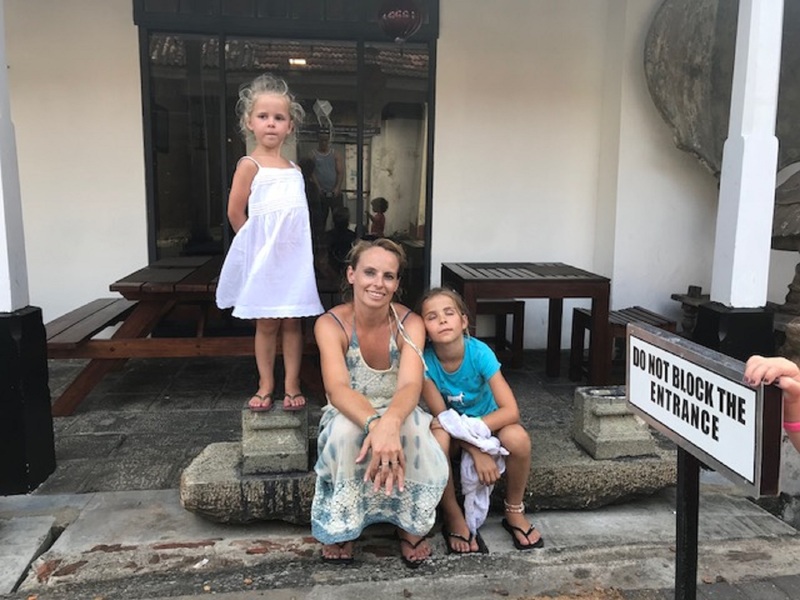 Sri Lanka with kids? Our top 5 highlights!